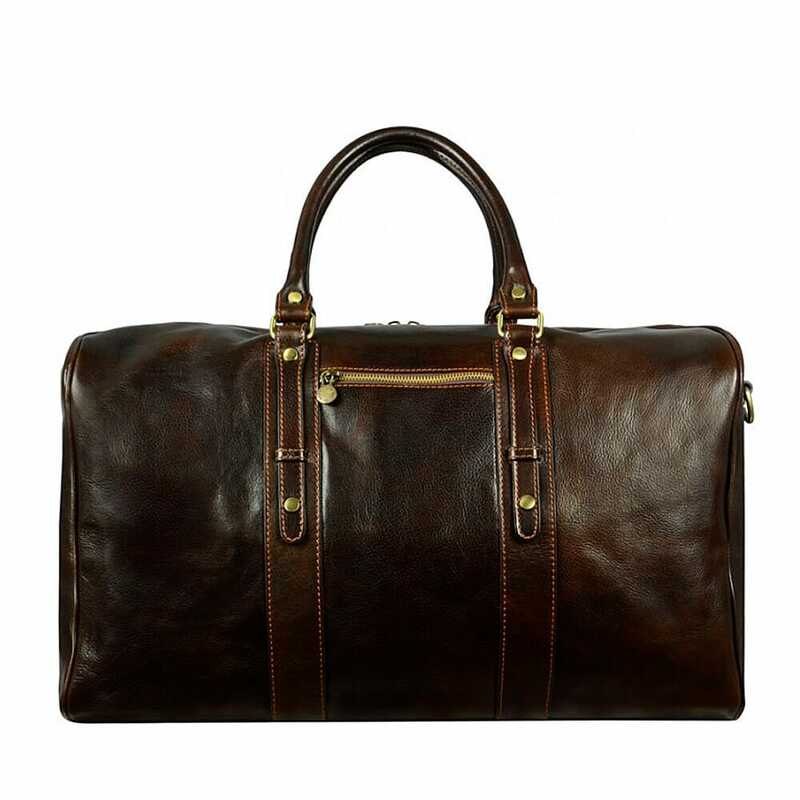 This Duffle is a must have travel item, designed for those who travel often and do it with style. The Brunelleschi Duffle bag, made form dark brown genuine full grain leather, reveals a lot about who you are, about your personal tastes an values. Comfort, style and elegance merge in a single object, not affected by the whims of fashion and seasonal changes; its skin is a blank book where you'll write your personal stories, one at a time, and this will make the bag unique and yours for life. Crafted in genuine calfskin and created according to the ancient leather processing system of the Tuscan leather district, vegetable tanned and hand painted, with a cotton lined interior, with enough space for your technological devices and with the right size to meet the carry on luggage requirements, the Brunelleschi Duffle is the best travel companion one can ask for.